The residence, "Le Sornin" at <strong>Autrans</strong>, is situated 600 m from the centre of the village. It is made up of 4 apartment buildings (without lift) plus one building containing the communal areas. <strong>Autrans</strong> is a small, mountain village resort, with its unspoiled natural setting and typical mountain architecture, situated 35km from Grenoble, in the <strong>Vercors regional nature park </strong>, in the Isère region. Combining forests, mountain pastures, farms and regional produce, <strong>Autrans</strong> offers a totally authentic <strong>mountain holiday</strong> in the fresh, pure air of this resort that was formerly recognized for its health-giving climate. 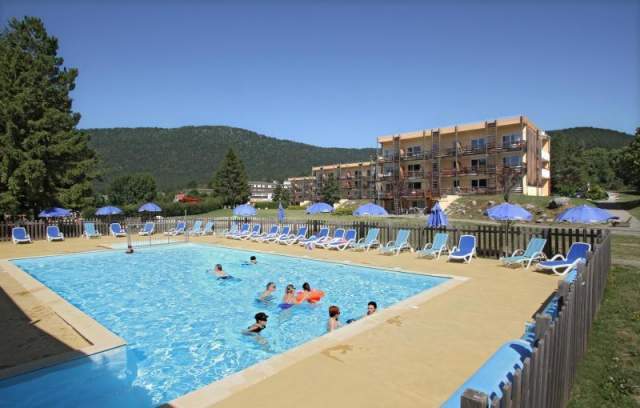 Discover this <strong>village resort in Isère</strong>, with its warm, friendly welcome, which offers numerous different outings either on foot or on mountain bike, for the discovery of deer, chamois, wild boar or roe and of a multi-coloured and abundant flora. This 3-room apartment is suitable for 7 persons and has an area of about 58 m2. It includes a living room with 2 sleeping places plus 2 bedrooms, one of which has 2 single beds (or a double bed), the other with 3 single beds. The accommodation also features a fully-equipped kitchenette with fridge, vitro-ceramic hotplates, mini-oven and dishwasher, as well as a shower room and separate toilet. For an additional fee you can rent a TV, baby set, towel set and/or final cleaning. Bed linen is included in the rental price. Heated, outdoor swimming pool, cardio-fitness area, children's playground, mini-golf, multi-activity sports ground, fee-paying WiFi and free outdoor car park. - Our Odalys representative will be on hand to help you discover your chosen holiday region. - Deposit (2 separate payments : apartment + cleaning) and tourist tax to be paid on the premises on arrival. The deposit will be given back to you on the day of departure, after inventory. The accommodation should be left perfectly clean. Otherwise a statutory sum will be kept from the deposit.